1. Welcome and Attendance: Tom Hall, President, Ken Weigand, Vice-President, Dave Miller, Treasurer, Dan Ross, Secretary, and Tracy Rhoads, IT Manager. Board Members: Lin Manning, Lew Gage, Mike Walsh, Steve Katzmann, RSAA liaison and member RTAA Board of Trustees, and Mike Dikun, Reno-Stead Airport Manager. Board Member(s) absent: Don Osborne, RARA Representative Terry Matter, and Alby Redick. Guests/Members: Robert Andrews, Gary Dyer, Doug Kulick and Doug Ritter. 2. Minutes of Last Meeting: Approval of the Minutes of August 13, 2013 meetings was unanimous. 4. Membership Report: Currently there are 73 members with a few that need to submit their dues. 5. 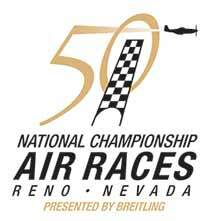 RTS Manager’s Report: An abbreviated report due to the demands of supervising the world’s best Air Races. Everything is proceeding as planned, no major problems noted at this point and he expects a large crowd for the races starting Wednesday, especially this weekend. 6. RTAA Trustee Liaison Report: The new RTAA CEO, Marily Mora, is all about GA and Air Service and Mr. Katzmann thinks the Authority is moving in the right direction, emphasizing transparent, and pursuing the completion and approval of the five part Strategic Plan. Mr. Katzmann offered to have a Strategic Planner brief the RSAA BOD at the next meeting. President Hall quickly accepted his offer. (For a complete list of current Trustees and their bios, go to www.renoairport.com/airport-authority/board-trustees). 7. RARA Trustee Liaison Report: (Terry Matter was absent for the BOD meeting due to pressing commitments on the field. The editor has taken liberty to paraphrase what Terry would have said if he had been present.) All the PRS pertinent info sent out by email. There is a large FAA presence for the Air Races. 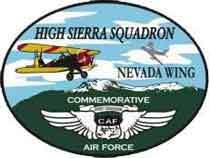 Additionally, a TFR is established encompassing the Reno Stead Airport during the actual air race periods and the airport is closed for all operators and operations from 8pm to 6am thru 9-16 Sep.
8. Webmaster Report: Published 9 articles, deleted 42 SPAM registrations and 54 SPAM comments on the Forum, updated website software 8 times, and added 3 items to the website Calendar of Events. The website had 306 unique visitors, averaging 1:25 each, and viewing 1.9 pages per visit. Most visited pages 798 were in order: Home page, For Sale, Hangar availability, join/renew page, airport businesses, fuel prices, and contact us. 10. Newsletter Report: The next issue of the Reno-Stead Newsletter will focus on the new RTAA Strategic Plan. 11. General Discussion: Robert Andrews, robert@avantwireless.com gave an overview for his plan to provide ramp WiFi at Stead. The equipment/install costs are $350(2) and monthly subscription is approximately $50/month(2). He envisions two transmitting antennas (equipment), one on Aviation Classics Hangar for the East/North/South end coverage and another on Dave Miller’s SpeedSports Hangar for the West/North end coverage. Two subscriptions and two antennas for total field coverage. The BOD had many questions about costs, range and services. President Hall suggested that Dan Ross and Tracy Rhodes be appointed a committee of two to brief the BOD with particulars in October. His suggestion was approved by the membership. Dave Miller presented a hangar lease renewal situation from a member and asked that the RSAA get involved and serve as a negotiating body for the Airport Authority and individual members who are approaching their hangar lease renewals. 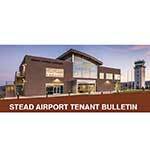 The BOD requested more info from Mr. Katzmann on the Airport Authority policys regarding lease renewals. Mr. Katzmann agreed to report back in October with further info. Tom reiterated that all Airport Authority Board Trustees and their Staff are always welcome and encouraged to attend the monthly RSAA meetings as are all association members and tenants-at-large. The next General Membership and Safety meeting is scheduled for TBD, location TBD. 12. Next Meeting: October 8, 2013, 5:15p location TBD.